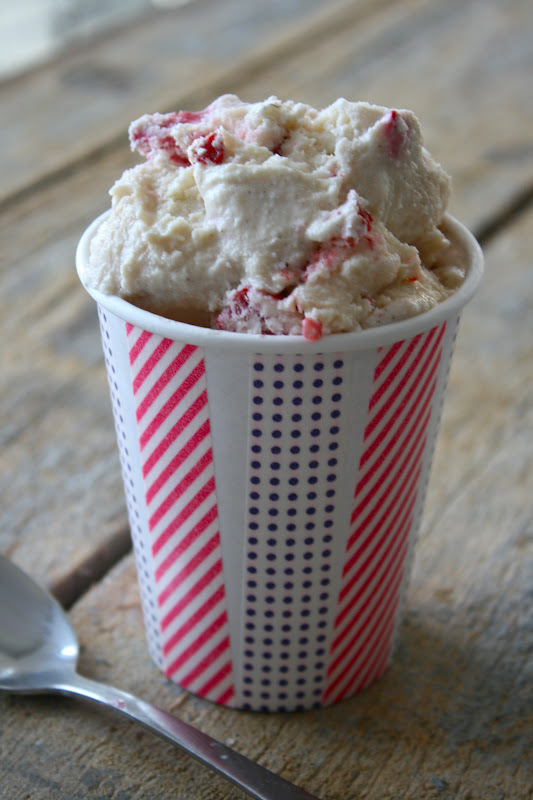 Washi Tape Serving Cups & Kind-Of-Homemade Ice Cream for July 4th! / Hey, EEP! Washi Tape Serving Cups & Kind-Of-Homemade Ice Cream for July 4th! BIG news, folk! Target is selling its own brand of washi tape (that fancy Japanese paper tape we're seeing everywhere these days!) and it's super cute and super cheap: $4.00 for 4 rolls, packaged by color. Fabulous deal, right? I snagged 1 red pack and 1 blue pack for a little 4th of July crafting—look at all the pattern combos you can play with within the red-white-blue color scheme! Pick 2 types of washi tape to decorate with. 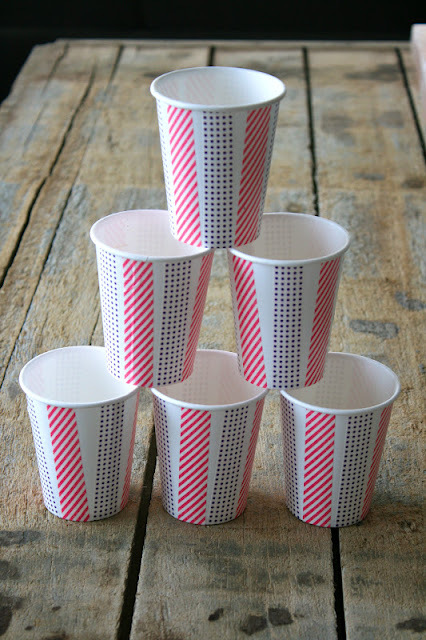 Smooth 1 vertical strip washi tape over the seam of the cup; trim and tuck the excess tape under the bottom rim. Repeat, alternating tapes, at a slight angle until you cover the entire cup. Toss 1 cup finely chopped strawberries with a few tablespoons sugar; let sit until syrupy. 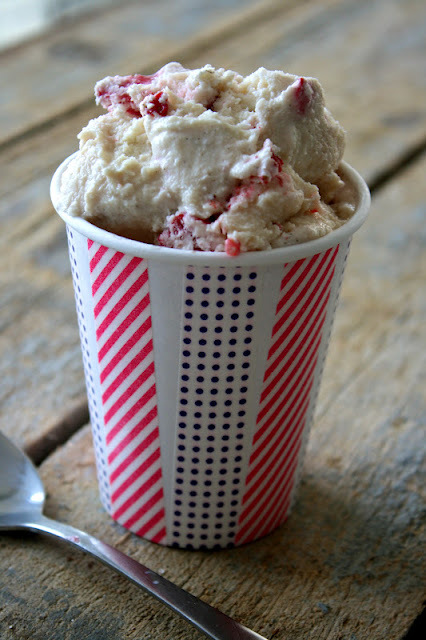 Fold the strawberry mixture into 1 pint softened vanilla ice cream. Transfer the ice cream to a plastic container and freeze until firm, about 1 hour. This is a super idea for a party. Using your ice cream scoop, dip up your ice cream ahead of time and put in freezer and all you have to do is take it out of freezer about 5 or 10 min. till you are ready to serve. Cups would be disposable and no having to wash any dishes! I like this idea! I have a lot of cups left over from previous dessert or family get togethers. Use them up this way. Can always make a tag identifying what flavor of ice cream is in it. Decorate the handle of the plastic spoon if you serve in a solid color paper cup that you already have and don't feel the need to decorate the cup itself with Washi tape..Wouldn't this be great for 4th.of July?